I love this Midwinter ‘Stylecraft’ design – it’s so distinctively retro, yet I don’t think there’s another design quite like it? 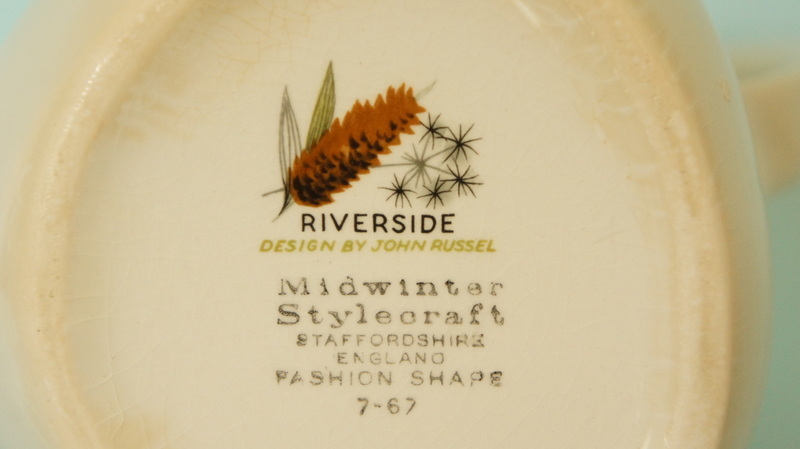 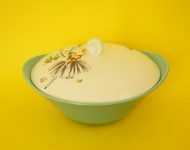 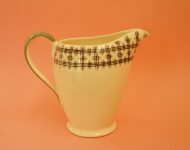 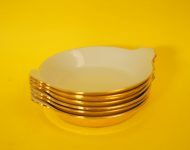 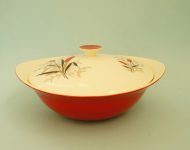 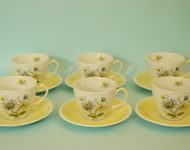 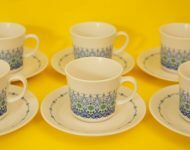 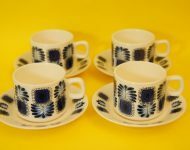 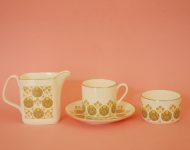 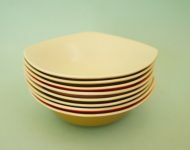 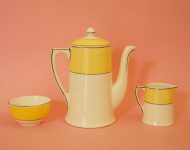 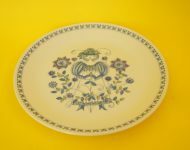 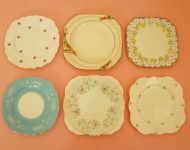 I’m not sure of the exact date, but the pattern was designed by John Russel, presumably sometime during the 1960s, and proved so popular that it remained in production for ten years. 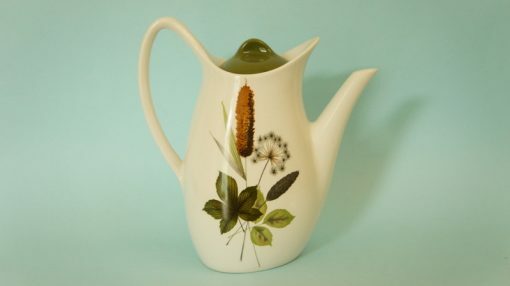 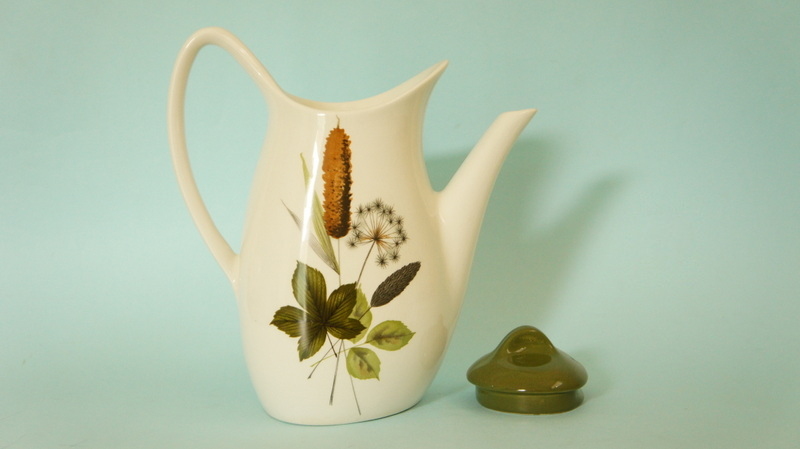 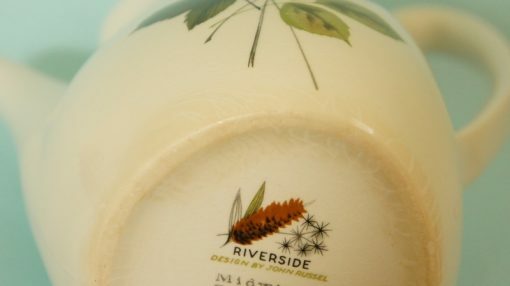 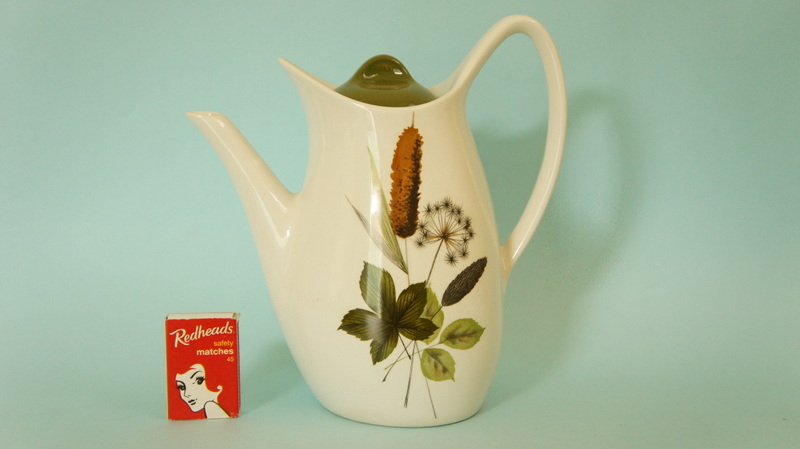 This coffee pot, which bears the distinctive ‘Riverside‘ bulrush pattern, is in good enough condition. 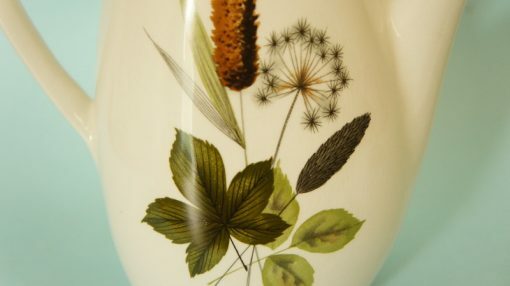 There’s some crazing to the base of the coffee pot, but it’s only really noticeable when you pick the pot up and look underneath – not advisable to do when it’s fill of piping hot coffee!